Save 50% with our Russian Acrylic or Oil Primed linen rolls “OOPS” promotion. After these rolls arrived in our warehouse and were inspected they were found to be slightly flawed. Quality checks revealed that a few rolls may need to be lightly sanded and re-gessoed. So, if you don’t mind the small amount of extra work, you can get this linen canvas at an amazing price! 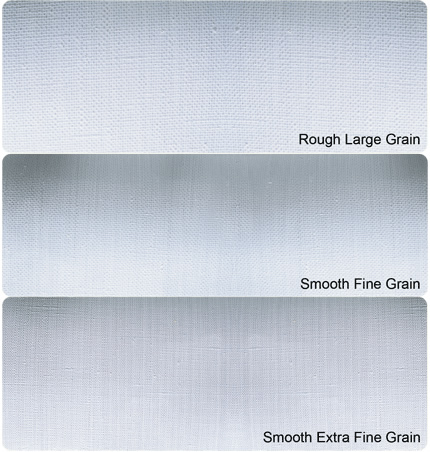 Keep in mind that you might receive the canvas and like the texture just the way it is, and not have to re-gesso at all. Save 50% right now, but get them while you can – quantities are limited. Once they are gone we will not have them again at these prices! Because we are offering such an outstanding value on these rolls and they are close-out items, they cannot be returned once purchased. I bought some Yarka portrait linen some years back, and have never liked any other canvas more. However, I can’t find it for sale anywhere. What brand was this canvas? Unfortunately, this canvas was discontinued by the manufacturer a long time ago. You might want to Google search to see if it can still be found from a European distributor.